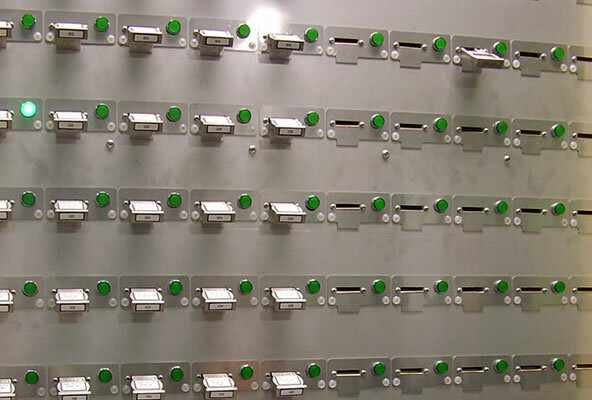 The key management solution is added to a traditional Compact Key Cabinet. It consists of an integrated PC, dedicated software and a touch screen. Sensors are added to detect key presence. Optionally, solenoids retain individual keys. The solution enables authorized valve operation and tracks valve interlock keys once they are taken from the key cabinet. It also enables valve operation to be integrated into systems of planning and maintenance. Sensors detect the presence of keys in thecabinet. This signal is forwarded to the DCS, providing information about the valve position andthe status of the interlocked system. The digital signal about key presence offers system status information to the DCS or SIS. This option also offers an alternative to conventional valve position indicators. Solenoids trap the keys in the cabinet until they are authorized to release the keys. This authorization may be based on system parameters, such as pressure, MOV positions or simply by pushing a remote button. Illuminated push buttons offer guidance to an operator. They illuminate only when a key is authorized to be released from the cabinet. An EKC enables integration of a stand-alone interlocking system into the overall process control system (DCS) or process safety system (SIS). Thus both manual and automated process operations are part of one integral system for control and safety.